MAYFIELD HEIGHTS, Ohio–Materion Corporation has been awarded a contract by UTC Aerospace Systems for AlBeMet® metal matrix composite parts that will be used in UTC Aerospace Systems' MS-177 long-range, multi-spectral imaging (MSI) sensor. 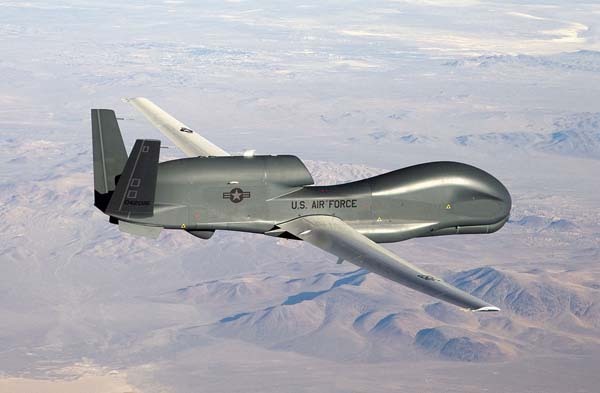 The sensor is currently undergoing integration testing and qualification for the Northrop Grumman RQ-4B Global Hawk Unmanned Aircraft System (UAS), according to a press release from Materion. Materion produces AlBeMet, an aluminum beryllium composite that combines the high modulus and low-density characteristics of beryllium with the fabrication and mechanical property behaviors of aluminum. Because of its excellent stiffness-to-weight ratio, AlBeMet is used extensively in optical, structural, and electronic housing components in aircraft, satellite, and commercial applications, Materion said in the release. The MS-177 sensor gives the U.S. military long-range capabilities to see with greater clarity than previous technologies. The Global Hawk system is designed to gather high-resolution images of large areas of land and sea, day or night. "We work to stay ahead of advancing technologies, and we're proud of our work with UTC Aerospace Systems which allows us to develop cost-effective advanced material components used on this cutting-edge sensor technology for the U.S. military," said W. Glenn Maxwell, president of Materion Performance Alloys and Composites, in a statement. "Our advanced materials solutions enable our customers to maximize performance on high-end imaging systems." Materion Corporation (www.materion.com/about), headquartered in Mayfield Heights, Ohio, supplies highly-engineered, advanced enabling materials to global markets. The company's materials include high performance alloys, beryllium products, clad metal strip, composite metals, and ceramics, among others.